In today’s world, many home owners find they are always in need of extra space. Simply stated, home owners have more things than they know what to do with and can’t seem to find a place to store everything. Just the thought of trying to store everything can seem exhausting in some cases. 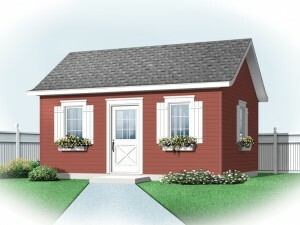 If this sounds familiar, take some time to browse storage shed plans like those found at The Garage Plan Shop. They are a wonderful, outdoor storage solution. Shed plans can be used to store nearly everything from bikes and backyard toys to hunting gear, lawn and garden equipment and even a mechanic’s tools. If it doesn’t belong in your home and there isn’t enough room in the garage, consider storing all those extra things in a backyard storage shed. Building a backyard storage shed is no easy task, especially if you don’t have all the knowledge and skills required for the project. However, those who are skilled builders and those who can enlist the help of someone with the right knowledge and skills will be rewarded for their efforts. They will have a sense of accomplishment and have peace of mind knowing their storage shed is a durable structure that is sure to last a long time as opposed to prefabricated models that may have been damaged when shipped to the lawn and garden or home improvement store. Building with shed plans from The Garage Plan Shop will produce a wonderful backyard storage shed that will satisfy all of your backyard storage needs. Everything from the lawn mower and leaf blower to the kids’ soccer balls will have a place of their own. No more cluttered garage. No more wasting time looking for tools and equipment. With a backyard storage shed plan, everything will be easy to find when stored in your newly built shed.